Tomar beej is a member of the Citrus family, known as Rutaceae. The tree of this plant is indigenous to Eastern Asia to china together with Himalayas and some other parts of India. 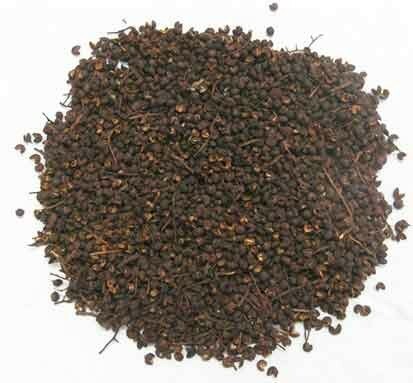 Tomar beej majorly used as oil, which can be obtained from the steam distillation method from the seeds. Its use is remarkable because of its naturally warm, peppery, spicy, rich and floral aroma. Tomar Beej has an essential oil, which contains Citral, Linalyl Acetate, Methyl Cinnamate, and Geraniol that are well-known to treat dental issues. It is used to treat many health conditions, such as fever, cholera and dyspepsia. It also reliefs the stomach issues, common cold, cough, fever and toothache. It is mainly used for treating oral issues. This is why it is used in some oral gums and toothpastes. It has antifungal and antioxidant properties. It has an odor fighting properties and can be used as antiseptic agents as well.